2019 Link to PDF synopsis of The Garden of the Sun (two pages). 2018 David Ward continues to write new pieces while revisiting, revising and refashioning some of his earlier ones. 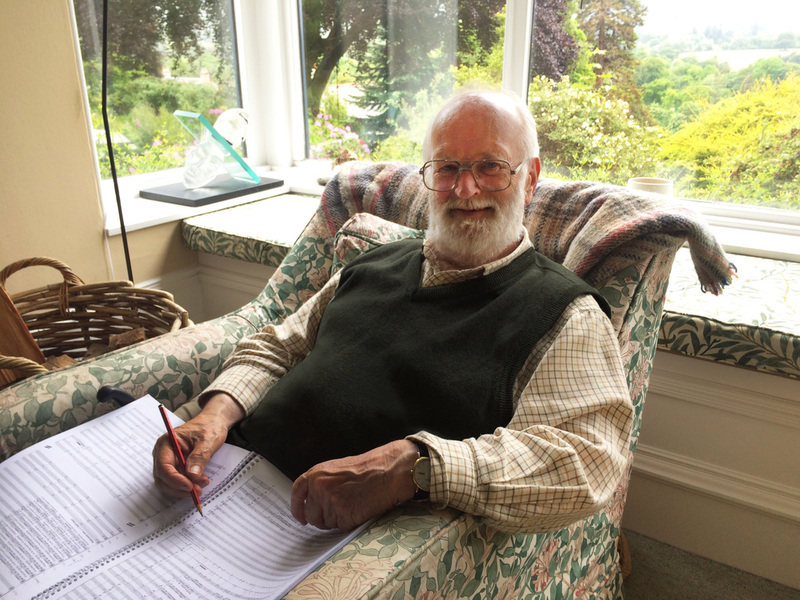 During the course of the year he has written three 4–5 minute pieces for the Genovia Quartet. Now in December he is revisiting his large opera Sybil in the belief that its story of love set against misunderstanding and conflict between the very rich and the very poor remains as relevant as ever. Future projects include plans, as yet tentative, for an hour long mini-opera for 2 singers, 5 instrumentalists (and probably some recorded voices) to be written in collaboration with artist Jane Frere who will write the libretto and also provide the designs. November 2017 The premiere of Arias and Cadenzas, with Oonagh Devoy's silent film and live perfomance of David Ward's score, took place at Woodend Barn, Banchory, Aberdeenshire on 5 November as part of sound. This links to a video stream of the performance, which also includes the post-performance Q & A with the audience. Or a video of Oonagh Devoy's film full screen with the music as soundtrack (without the Q & A). Link to Oonagh Devoy's blog post on the performance, the culmination of a collaboration between her as artist and DW as composer, first proposed in November 2015. DW's short piece In Memoriam Keith, written in memory of Keith Cockburn as a gift for his widow Pam Johnston, was premiered at the Huntly Summer School Tutors' Concert by Emily White (sackbut) and Pam's daughter Morag Johnston (baroque violin). DW has received the edited videos to accompany Arias and Cadenzas from Oonagh Devoy and has sent on-line files and a DVD of these to the musicians for them to work with in advance of formal rehearsal at the sound festival 2017 (see the March entry for more information). DW has now finished writing his new 20 minute piece Arias and Cadenzas commissioned for the sound festival 2017, which is to accompany video and still projections by Oonagh Devoy. The premiere is scheduled for Sunday 5 November 2017 at 3.00 pm at Woodend Barn, Banchory, with cellist Rohan de Saram, his son Suren de Saram on percussion (vibraphone, temple blocks & drum kit) and pianist Kausikan Rajeshkumar. 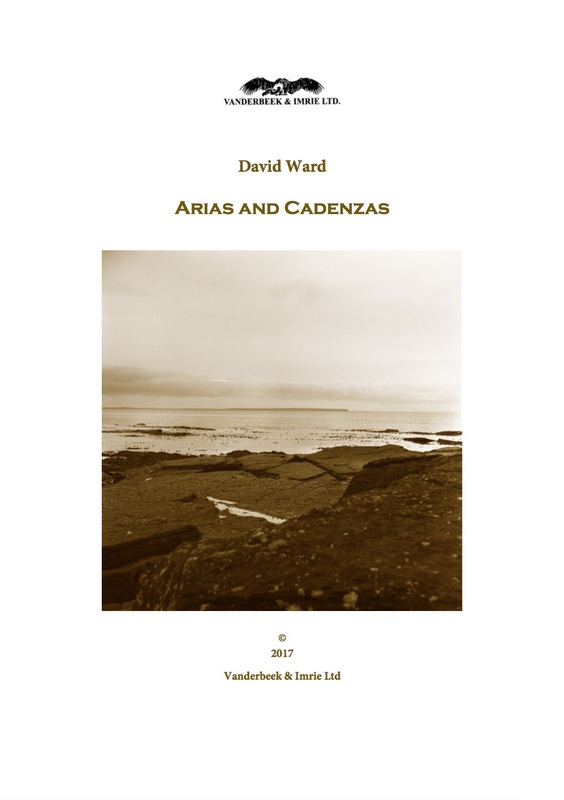 The cover of the score of Arias and Cadenzas features a sepia photograph by Oonagh Devoy. Arias and Cadenzas is a joint commission from sound and WMS (Woodend Music Society). DW has provisionally finished his opera The Garden of the Sun to a libretto by NZ poet and novellist Kevin Ireland derived from the ancient Sumerian Gilgamesh epic. The libretto as in the completed full score can be downloaded from this Dropbox link. A PDF of the complete full score may be seen on request (best with large display or an A3 printer). The draft full score of The Garden of the Sun is now complete apart from the final scene. DW has signed a commission contract with sound and WMS (Woodend Music Society) for a new 20 minute piece to accompany video and still projections by Oonagh Devoy to be performed at Woodend Barn, Banchory as part of the sound festival 2017. DW continues work on his opera The Garden of the Sun. A number of changes are being made to the distribution of text in the libretto during the compostion of Act III Scene 2. These will be incorporated in due course in the next work-in-progress version of the libretto to be available from this web-site as a PDF. The photograph below was taken by Oonagh Devoy when she and DW met in Banchory on 11 June to discuss their joint project. A report of that meeting can be read on Oonagh's blog post for 15 June. More news on the progress of this collaboration between composer David Ward and visual artist Oonagh Devoy will follow. Early June 2016 DW's continues to work on his opera The Garden of the Sun, which is derived from the ancient Sumerian Epic of Gilgamesh. The Prologue to Act III, which narrates the ancient tale of the Great Flood, from a source that pre-dates Noah by several hundred years, has now been written in draft full score. PDFs of the draft full score of Acts I & II, and of the Prologue to Act III plus the dance (Tango morphing into Tarantella) of the Snake who Sloughs her Skin (also from Act III) are available on request. 4 May 2016 A performance in Glasgow by the violin and cello duo High Heels and Horse Hair (click on the Concert Dates tab on the High Heels and Horse Hair home page) will include DW's miniature Lukkaminnie's Oo as part of Transplanted. Later March 2016. DW has now completed the draft full score of Acts I & II of The Garden of the Sun an opera to a libretto by Kevin Ireland based on the ancient Sumerian Epic of Gilgamesh. March 2016. A performance of DW's String Quartet No 4 took place in a concert on 2 March played by the Bingham String Quartet: review. February 2016. The most recent performances of Transplanted including DW's piece Lukkaminnie's Oo took place in Gairloch and Inverness on 18 & 19 February. December 2015. There is now a complete draft of Act I of The Garden of the Sun in full score. In January 2015 DW finally began the full score of his planned opera The Garden of the Sun to a libretto by Kevin Ireland freely derived from The Epic of Gilgamesh. At this stage the project is tentative. More information about the piece and a PDF of the provisional libretto (likely to be rearranged during composition) can be viewed by scrolling well down this page and clicking on the relevant image. April 2015. The provisional full score of Scene 1 of this opera is now written. During the course of composing the music, the libretto of the scene has been substantially rearranged. It has also been decided that the only dancer in the opera should be the one depicting the snake who sloughs her skin. Elsewhere, projections of ancient Sumerian carvings might accompany the retrospective narratives (dominated by the chorus) that intersperse the central drama. June 2015 Act II Scene 2 was drafted in full score. Late June 2015 DW drafted the full score of the four minute solo dance for the Snake who eats the Flower of Immortality and then sloughs her skin, thus thwarting Gilgamesh's dream of acquiring immortality. The first half of the dance is a tango, the second a tarantella. 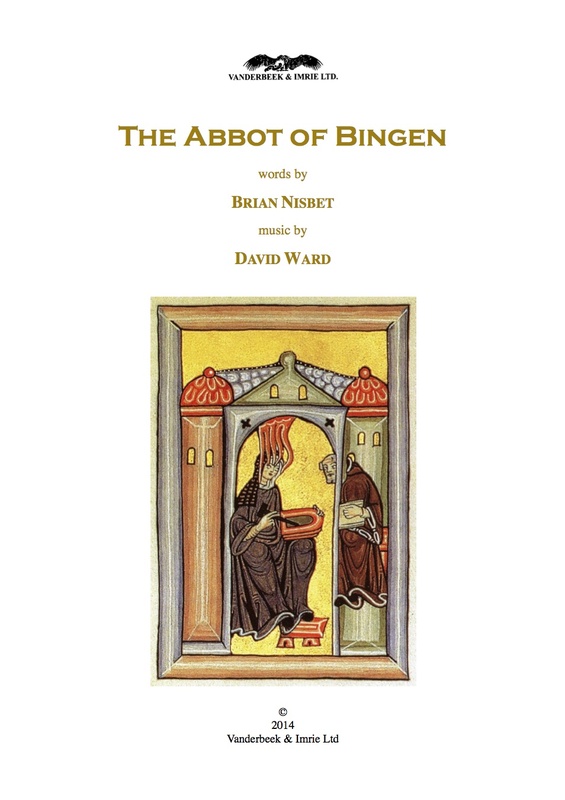 On 2 January 2015 as a birthday surprise for poet Brian Nisbet a setting which David Ward wrote specially for the occasion of Brian's poem The Abbot of Bingham was performed by musician friends in the house at Dursley, Gloucestershire which Brian shares with his wife, trombonist Emily White. Click on this image of the cover to see a PDF of the complete score. Very sadly Brian Nisbet has since died after a long illness. Link to an obituary of Brian. Review and pictures of the concert on 22 Nov 2014 which included DW's Lukkaminie's Oo (see also 'Most recent public premiere' below). A performance of DW's e-mails from Palestine took place in a concert on 25 October 2014 given by Emily White and Steve Bingham in the Tin Hut, Gartly, Huntly, Aberdeenshire promoted by Music Centeral. Review and pictures of the concert on 25 October 2014. 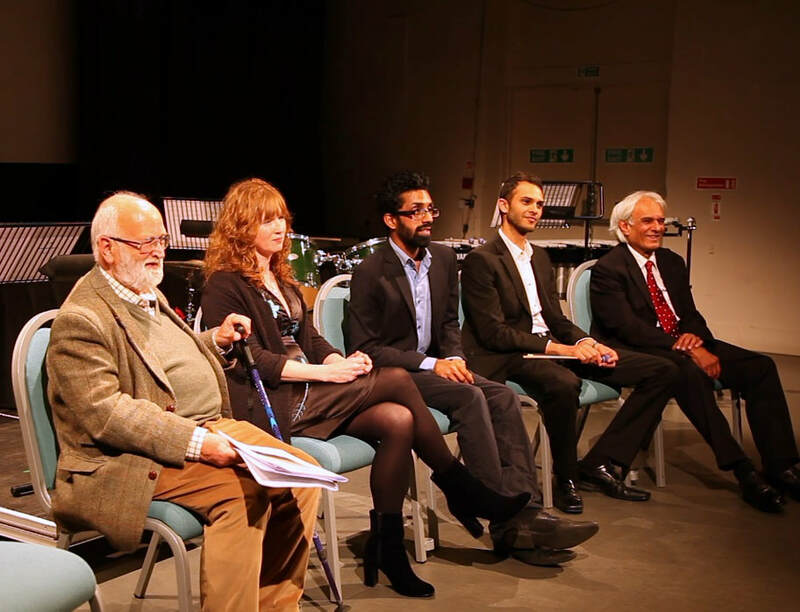 The studio recording of e-mails from Palestine is now in progress with a release date due in 2015 (to be announced). On Wednesday 17 September 2014 at the Centre for Contemporary Arts Glasgow at 7.30 pm there was the first performance Lukkaminnie's Oo which the violin and cello duo High Heels and Horse Hair commissioned from David Ward for their series Transplanted. It is one of eight pieces by different composers which received their first performances at this event. They were all commissioned by H H & H with subsidy from Creative Scotland to be written on a single page (any sized page!) 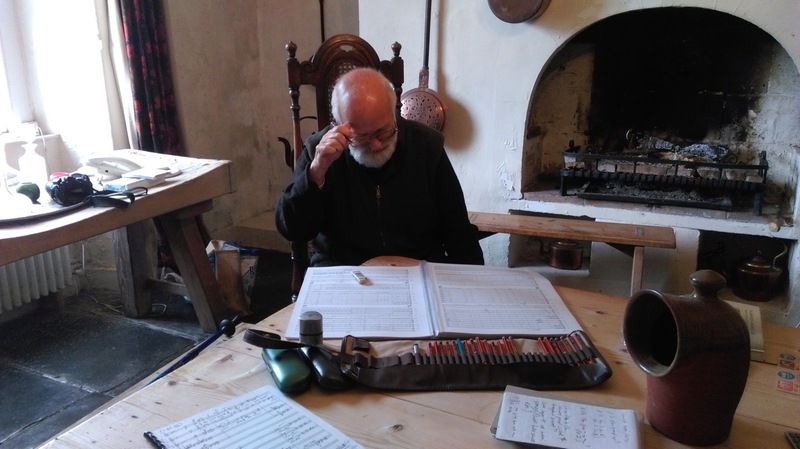 to mirror the eight one page pieces that make up Airs for the Seasons by the Scottish baroque composer James Oswald (1710–1769) which were each given the name of a native Scottish plant appropriate for one of the seasons. DW was allocated the summer plant Bog Cotton or Cotton Grass. He has given his piece the Shetlandic name Lukkaminnie's Oo. Lukkaminnie's Oo or 'Grannie's Wool' is the Shetland name for Bog Cotton or Cotton Grass. For this piece, we might imagine ourselves on a rather boggy island moor in high summer, with white tufts of bog cotton all around. It is a calm and sunny day, and because of the bright sun there are, for the moment, only a few active midges. Suddenly one of those strange, miniature whirlwinds, which occur from time to time in such places, rushes past; after that we return to the previous atmospheric calm. A further ten performances of the complete set of Transplanted pieces is scheduled, including one at the Royal Botanic Gardens Edinburgh on 18 October 2014, and another at the Tin Hut, Gartly, Huntly on 22 November. There is an article about Transplanted in the autumn 2014 edition of the RBGE magazine Botanics. A PDF of the magazine can be dowloaded by clicking here. The article begins on page 14, where there is a beautiful picture, consisting of a photograph of bog cotton overlaid with a section of the score of DW's piece inspired by the plant. In August 2014 DW wrote a 25 minute, five movement Divertimento for mixed octet, the same combination as the Schubert Octet, except that DW's clarinettist also plays alto sax and bass clarinet during the course of the piece. It was written for the Berkeley Ensemble. Performances to be announced later. 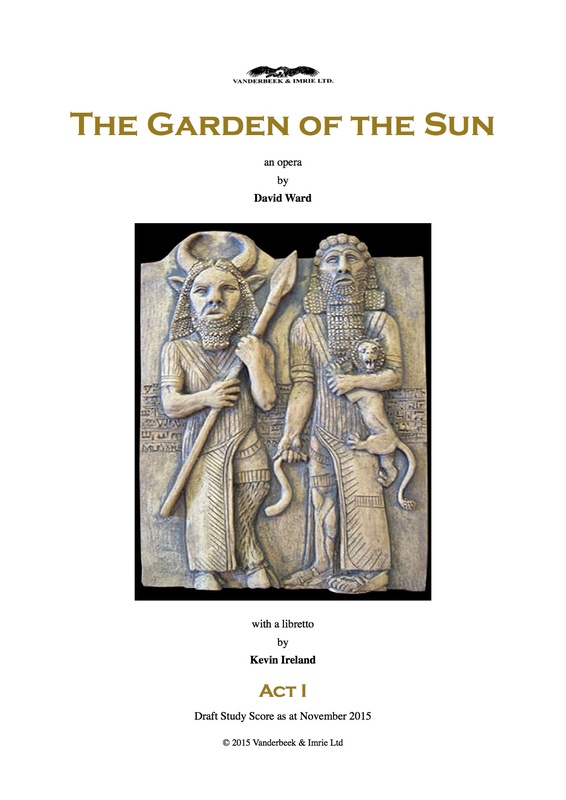 In preparation for a potential start on the composition of his next opera, David Ward in July 2014 DW retyped and slightly emended Kevin Ireland’s libretto The Garden of the Sun, which is derived from the ancient Epic of Gilgamesh. This was originally written for David Ward in 1981. Provisional voice designations and a proposed orchestra line-up are included in a PDF of the libretto available via this link. The story is mostly about humanity’s struggle to come to terms with the inevitability of mortality, but there are diversions along the way. The recording of Dreaming of a Distant Love (see picture of a girl with binoculars, below) played by FourSight can be heard via this SoundCloud link. Please contact DW directly if you would like to download Dreaming. David Ward's Three Orpheus Sonnets (Rilke) were performed by Ella Fontaine (mezzo) and Lauren Hibberd (piano) in a concert promoted by Music Centeral on Saturday 8 March in Stewart's Hall, Huntly, Aberdeenshire. A review of the concert is here. Jane Manning's essay on performing DW's Rilke Sonnets may be read here. 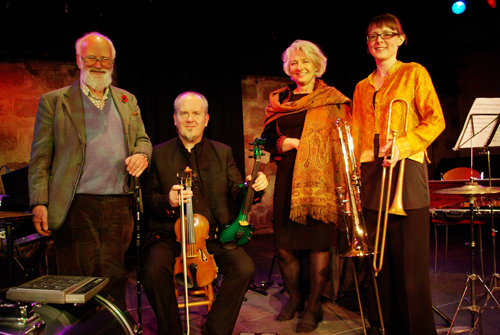 The Isla Quartet gave the first performance of David Ward's String Quartet No 7 at Gartly Community Hall ('The Tin Hut') near Huntly on 16 November 2013. This piece was commissioned by Music Centeral with funding from Creative Scotland. The programme also included the first complete performance of String Quartet No 3 by Huntly based composer Ronald Center (1913-1973), which was probably written in 1969-70, and a number of short pieces specially written for the occasion by young composers, including school children, as well as Mendelssohn's 2nd quartet. The concert was repeated the next day at Woodend Barn, Banchory, both concerts being part of sound, Scotland's festival of new music. Review 1 of the Tin Hut concert 16 November 2013.
Review 2 of the Wooden Barn concert 17 November 2013. 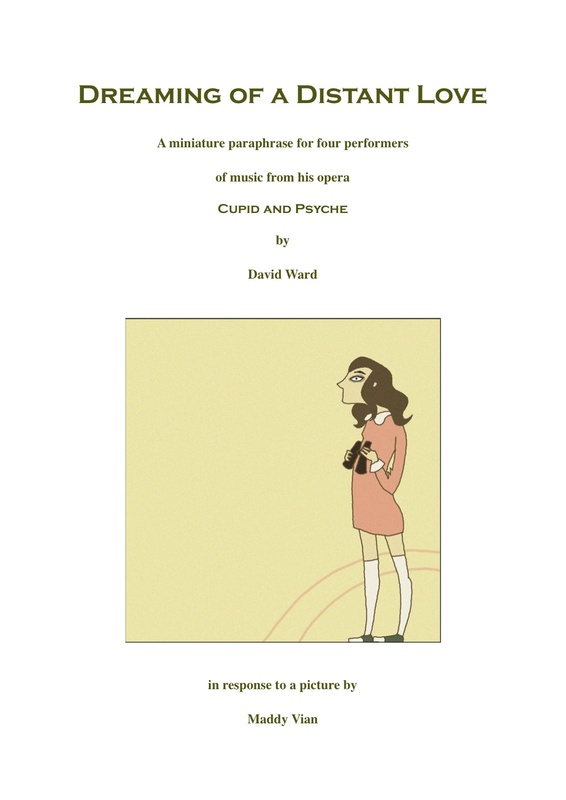 The group FourSight has recorded David Ward's short piece Dreaming of a Distant Love, which he describes as a miniature paraphrase of music from his opera Cupid and Psyche or Should Love Lie … (see lower down this page). This has now been released as part of a compilation of two minute pieces by various composers specially written for the group. Click on the image below for a PDF of the score (4 pages of music, plus cover and info). A studio recording of e-mails from Palestine (see photograph of four people well down this page) is waiting to be edited for later release. Click on this link to hear an MP3 of David Ward's Duo recorded at the 2 April concert. A PDF of the full score is available on request and a vocal score will be prepared in due course. These fragments of text from Scene 1 hint at the wide ranging variety of the libretto and music, including the darkly sardonic, the dreamily sensual and the tongue-in-cheek cynical. The four lines beginning 'Love is a liar' are repeated at the very end of the opera by the Olympian gods, representing those in authority piqued at the thwarting of their plans, and perhaps wrily amused at the thought that Psyche believes Cupid - one of their own, after all - will be a good husband. 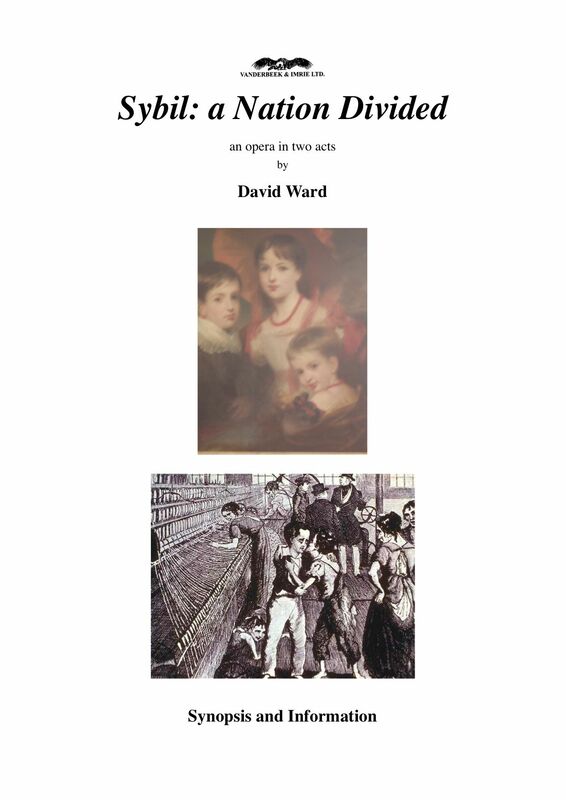 A provisional full score of David Ward's opera Sybil is now available as a PDF (30.8 MB) on request. From time to time this is up-dated to include edits and corrections. Significant revisions are likely to include placing the Choral Interlude that currently begins Act II at the end of Act I, and a more intense link to the Epilogue, including a choral setting of verses from Shelley's 'Masque of Anarchy' and possibly the composition of an additional central act set in the house of Sybil's father and then at the convent. Sybil is an opera in two acts ostensibly set in early Victorian England, but it can - indeed generally should - be updated in production. It is a story of love set against the ever-relevant misunderstanding and conflict between rich and poor, haves and have-nots. Quite how alarmingly relevant this opera seems was not anticipated at the time of composition: in Act II there is a scene in which a shop is burnt down by rioters. Plus ça change! Act I is a darkly ironic social comedy. Act II soon becomes violent, with catastrophic consequences. A vocal score should be available in due course. This opera remains in an uncertain state and is subject to major revision, reorganization, additions and subtractions - in keeping, perhaps, with its quasi Mussorgsky-like subject. 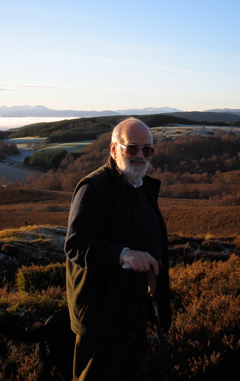 In 2010 David Ward was commissioned to write a piece which has the title e-mails from Palestine (1) and had its first performance at Woodend Barn, Banchory, Scotland on Friday 12 November 2010 as part of sound, North East Scotland's festival of new music. The performers were the wonderfully versatile Emily White on trombone, alto sackbut and violin, as well as singing and rhythmic recitation, together with Steve Bingham on violin, five string electric violin and electric bass violin. Both also played some percussion. The words for Emily to sing and recite during this 25 minute quasi-theatrical piece were phrases from the often harrowing, but occasionally humorous e-mails which the Scottish artist Jane Frere has sent to David from Palestine, from the occupied territories and from Palestinian refugee camps across the region, especially while she was putting together her Return of the Soul exhibition in 2007 and 2008. The last part of the piece has a pre-recording of Jane herself reading her recent thoughts on the separation wall. The music followed the opening of her exhibition In the Shadow of the Wall. There were two performances, with different endings, separated by a long interval in which the audience had a discussion with Jane Frere, Emily White, Steve Bingham and David Ward. A more recent performance of this piece took place in a concert on Friday 13 May 2011 at St Giles Church, Castle Street, Cambridge. Soprano Deborah Fink joined Emily and Steve to perform the vocals, with Emily and Steve playing the same instruments as before. Jane Frere provided a sequence of projections to accompany her recorded voice in the final section of the piece. A studio recording of the piece is planned, to be followed by further performances. e-mails from Palestine (1) was commissioned by Woodend Arts Association with support from Creative Scotland. This is a brilliant piece. I found it effective, engaging and it's all accessible - writes Anthony Sayer, cellist and longest serving member of the BBC Scottish Symphony Orchestra, on listening to a recording of the first performance of e-mails from Palestine. In 2007 DW received a commission from the Institute of Evolutionary Studies to write a piece for 23 solo strings (the same line-up as Strauss's Metamorphosen) in celebration of Darwinian evolution. Evolutionary Metamorphoses was commissioned to celebrate the Theory of Evolution and to commemorate the 200th anniversary of the birth in 1809 of Charles Darwin. The composition of Evolutionary Metamorphoses came about as a result of a conversation David Ward was having with a group of people at the University of Glasgow. They were bemoaning the fact that there were so many pieces of music being written in praise of God (MacMillan, Tavener, Pärt etc); but it seemed there were none being written in praise of Evolution. David Ward's String Quartet No 6 had its public premiere by the Bingham String Quartet at Woodend Barn, Banchory on 11 November 2007. A semi-private pre- premiere performance of String Quartet No 6 by the BSQ took place at Maitland and Halldis Mackie's house at Westertown Farm, home of Mackies ice cream, near Inverurie in aid of the Matthew Hay Project on 10 November. A complete live recording of the 11th November performance is available to buy as a high quality mp3 download from Steve Bingham's on-line shop at a cost of £3. David's String Quartet No 5 was given its premiere by the Bingham String Quartet, who have premiered several of his other quartets, on 25th April 2002, at St. Giles' Church, Cripplegate, London. "Little Duet" for clarinet and violin - Hector Scott (violin) and Shinobu Miki (clarinet). Gallery of Modern Art, Queen Street, Glasgow. January 2002. Cello Concerto No 2 - Rohan de Saram (cello), Southbank Sinfonia conducted by Simon Over, Woodend Barn, Banchory, Scotland. March 2003. David has written the following dedication for the Cello Concerto no.2: "Written during the run up to the war against Iraq and premiered one week before the actual invasion, this concerto is dedicated to the improvement of understanding and co-operation between people of different cultures, races and religions." A sound clip of this piece is now available. Variations on a Waltz was premiered in a concert given by Catherine Nardiello (piano) in November 2005 in London as part of the 8th London New Wind Festival, 2005. 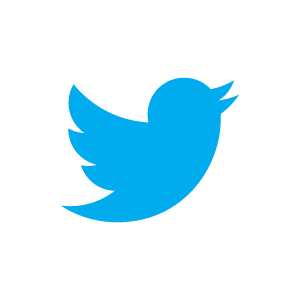 If you would like to suggest a relevant link please email the details. who lived in Huntly (he taught the piano to the broadcaster James Naughtie). The centenary of Center's birth was in 2013.